Plugins are like double-edged swords. They are AWESOME!!!! But too many of them can often cripple your site. And the thing is, sometimes the plugin authors get lazy and they stop updating them, and the next thing you know, a new WordPress version gets released and the old plugin that hasn’t been updated in a few months gets deprecated. However, there are some plugins that are created and maintained by reputable sources that you can trust. And let’s face it, plugins great, makes life easy, and are really versatile! Most of us have anywhere from at least 10 – 20 and even 30 plugins at a time! 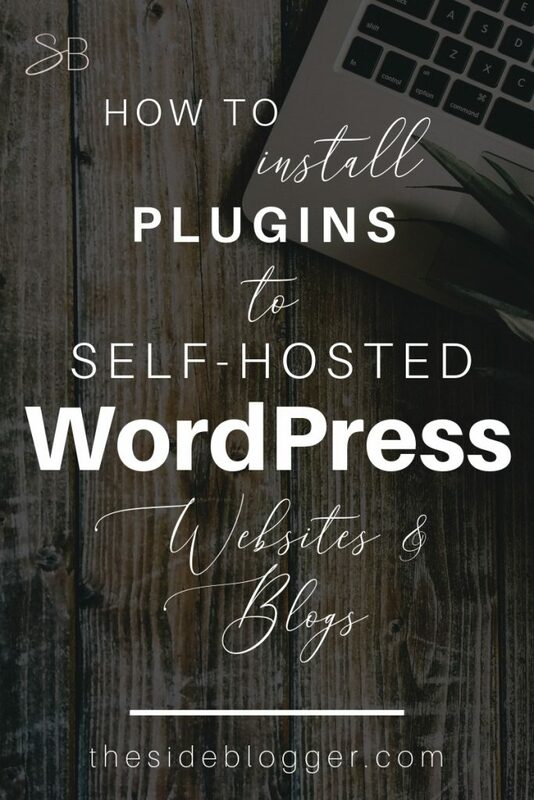 So, if you’re starting your brand-spankin’ new website with self-hosted WordPress, you MUST know how to install plugins! It’s really simple and intuitive, but just in case you’re having a panic attack after looking at the WordPress back-end, here’s a really easy to follow, step-by-step guide to installing a plugin. Look for a tab in the left panel called “Plugins“. Image 1: Click on “Add New” to add a new plugin. Image 2: Click on “Upload Plugin” at the top if you have a zip file, or, search for the plugin in the search field next to “Keywords”. Alternately, if you have a plugin that you downloaded from the plugin author’s site, or you had someone create a plugin for you, you can upload the zip file containing the plugin by clicking on “Upload Plugin” at the top of this page. [Refer to image 2]. After it’s been installed, you’ll see that the “Install Now” button will say “Activate” Click it. [Refer to image 3] If you’ve used to uploader to upload the zip file, it will take you to another page and will say whether or not the plugin was successfully installed. If it was successfully installed, it will ask you to activate it. If however, there was an error, try uploading it again, or talk to the plugin developer to see if there might be some kind of error in the file. Image 3: After the plugin has been installed, click “Activate”. Once it’s activated, it will take you to a page that has all the activated plugins listed. And from here, depending on the plugin, perhaps that’s all you need to do, and you’re done. However, some other plugins require you to set it up a certain way for it to perform certain functionalities. But that’s based on the plugin you’re working with, and outside of the scope of this blog post. Now get cranking and download some plugins!!! For your benefit and convenience, I have listed my top 10 must-have plugins in the Recommended Resources page. Make sure to check them out, and install in your own WordPress site! P.S. Speaking of a reputable hosting company, my heartfelt recommendation is an awesome company called Siteground [affiliate link]. These guys have the most amazing support, superior security measures compared to many other hosting companies, free SSL, Smartcacher for faster site-speed (starting with their GrowBig plan), and just many other awesome perks!